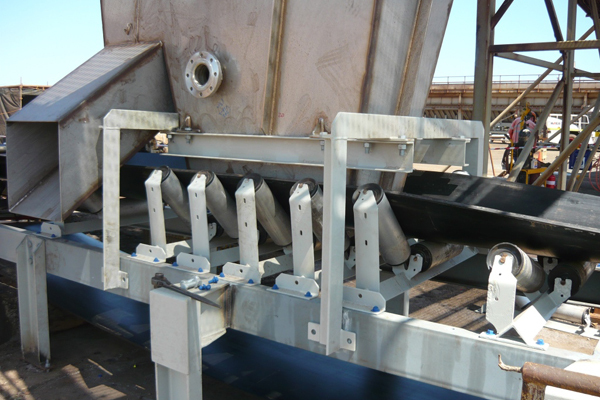 JLV Industries is proud of the innovative developments of the Glideseal idler roller. The Glideseal idler roller is designed for conveying applications where long life, low noise emission and low vibration are paramount. Long bearing life using multiple integral sealing and synthetic lubricants. Polymeric end housings highly resistant to degradation from stress and weathering. When an aluminium shell is selected, extremely low noise emissions, low rotational mass reducing power draw, very low handling weight and excellent corrosion resistance are achieved. Glideseal rollers are also manufactured in an extra low weight version, which is predominantly used for long trough and return idler rollers. With this technology, single roll return rollers that normally weigh 50 kg can now be manufactured with a mass of no more than 21 kg. These are being mainly used on stacker / reclaimers and ship loading facilities where accessibility is restricted and personnel need a light product to prevent injury.